Jeeze Sage. Thanks a lot. Ugh! I just sent out an e-mail yesterday to ALL of our customers to say they’d better hurry over to the Sage Summit website to register for this year’s event, because the Early Bird registration rate — $500 of the regular registration rate — was going to expire April 30. 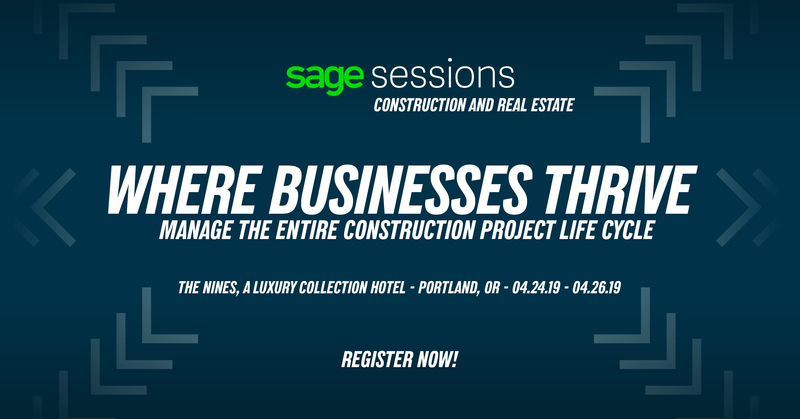 That’s all of our Sage ERP customers, our Sage Construction and Real Estate customers, our Sage HRMS customers, and our Sage Fixed Assets customers. See? I told you they extended the Early Bird registration! Now I’m going to have to go back and tell them all that this amazing deal will last another two weeks. Are you happy now? Good. Because I’m actually glad too. (Ha! Fooled you!) Despite the fact that I’m going to have to resend all those e-mails (really, it’s no trouble; I just hate spamming our customers with too many e-mails), I’m really happy this rate has been extended. So many of our customers took advantage of both the $99-for-two rate and the Early Bird special, that I’m hoping we break a Practical Software Solutions record for customers attending Sage Summit. The Cupcake Girls — Heather White and Lori Joyce, Canadian television personalities and founders of Cupcakes (TL-115: Understanding financial literacy with TV’s The Cupcake Girls; TL-129: Defining Your Brand with the Cupcake Girls). Gene Marks, Columnist, author, and small business owner (TL-143: The next 2 years: Your growth and opportunities and the latest political, economic, and technological trends that will dominate your business through 2017). Mike DeBoer, CIO GE Capital Technology (TL-153: Like it or not, you’re a tech company: Insights on business strategy). These are the types of sessions that should have value for anyone, no matter what industry you work in. Just because the Cupcake Girls run their own bakery, doesn’t mean a garden retailer couldn’t learn from marketing tips from them. And I’m sure there are many construction companies out there who would love to know more about addressing reviews on social media. Sage still hasn’t announced the Featured Conversation speakers. If they follow the same format as last year, these will be the people who speak after each morning’s keynote address. (Some of the featured speakers included Magic Johnson, Biz Stone, Jessica Alba, etc.) This, along with the announcement of who will be performing at the closing celebration, will be big announcements for Sage, so I expect they’ll start announcing them in the next few weeks. So there you have it: Sage Summit hotels are filling up fast and you now have an extra 15 days to take advantage of $500 off the regular admission to Sage Summit. Now if you’ll excuse me, I have some e-mails to prepare. Yes, Amanda, get to work on those emails because we want every Sage customer you have contact with to join us at this amazing event! I am delighted you talked about the thought leaders we are bringing in. Experts sharing their knowledge and success strategies. We are adding more layers of content as well which enable customers to get a deeper-dive into product knowledge from Sage experts as well as Sage City Live community. More, more, more. So get hopping on those emails. We need your fingers limber so you can write about all the new stuff too. Thanks Danielle! Can’t wait to hear more about Sage Summit 2015!